While digital watches could always do more than just tell the time, they often lacked some subtlety in design. Fast forward to 2017, and digital timepieces have not only upgraded their high-tech gimmicks but have also caught up to the design challenge. Unlike their classic analogue counterparts, they have managed to take on the best of both worlds; smart, sophisticated shape and state-of-the-art technology. A stylish vintage piece may accessorise you nicely at the office or after hours, while a more sporty design will be helpful during rugged outdoor adventures. Whichever way you lean, we have rounded up the best digital watches for men to assist your decision-making process. 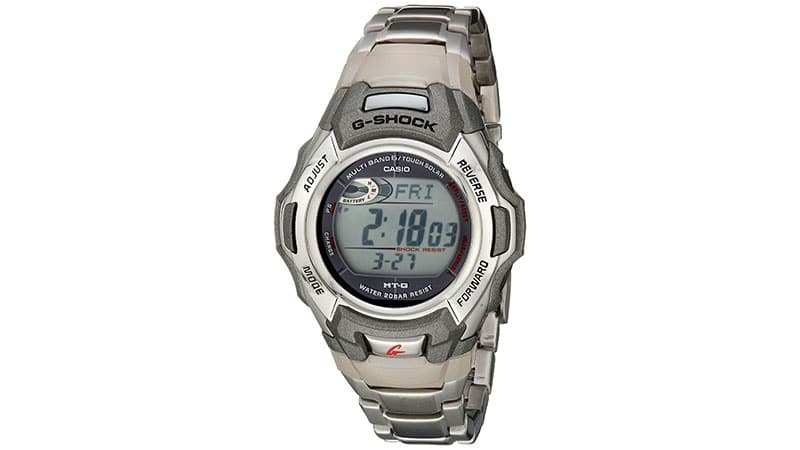 With its rugged design, the G-Shock GA 100 is part of the Casio military series. 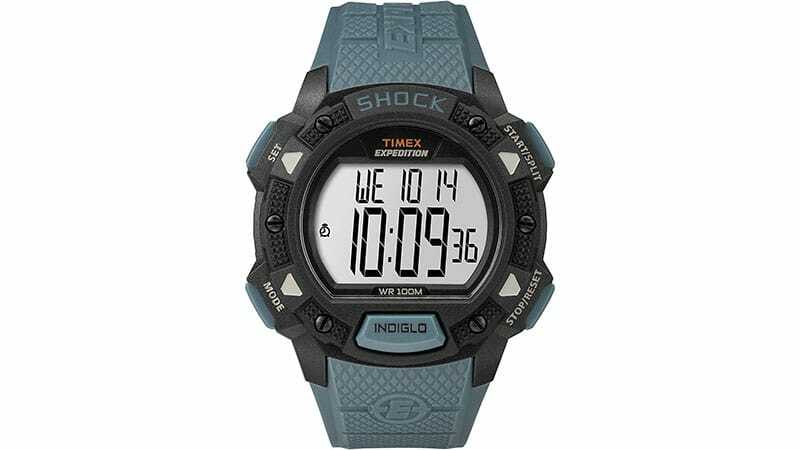 Its resin covered body ensure shock resistance and up to 200m water resistance, which pretty much classifies this piece as heavy duty outdoor gear. It’s made from an anti-magnetic structure and has a built-in auto LED light with afterglow. Furthermore, it comes with 29 time zones, a pre-programmed calendar until 2099 and a highly accurate stopwatch with speed indicator. 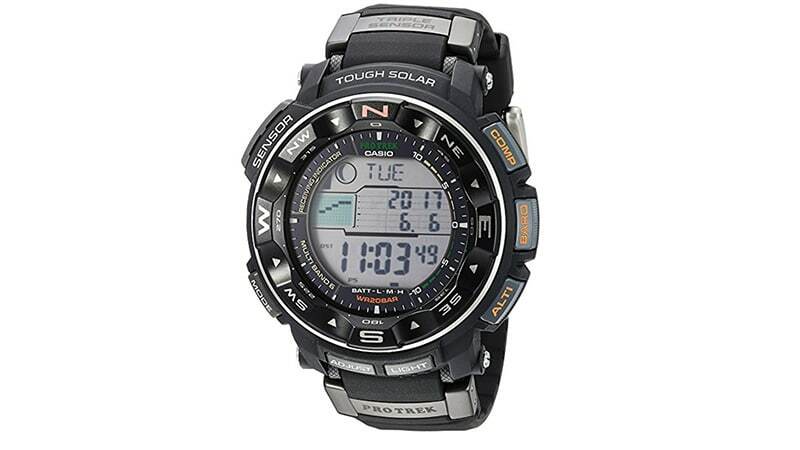 The Casio PRW-2000R-1CR Pro Trek was developed to stand by you through the toughest of outdoor adventures. Its rugged design combines modern technology with functionality and ease of operation. Large diamond shaped buttons promote slip resistance. You can even operate the rotary bezel with gloves. 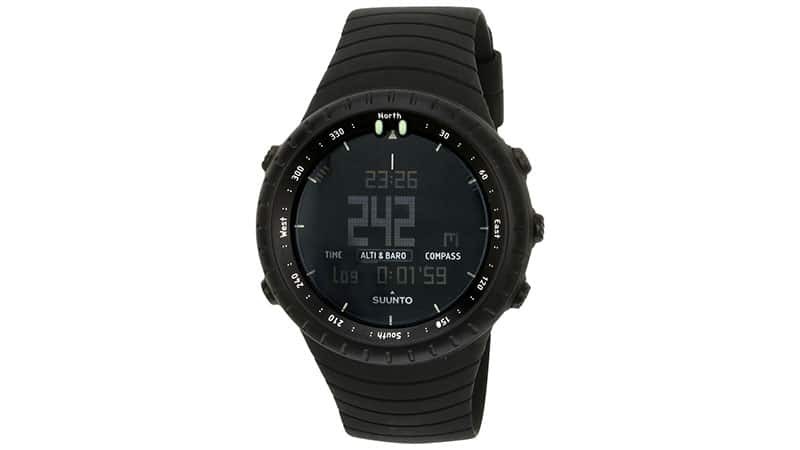 Powered by Casio’s Tough Solar technology, the dedicated direction function, barometer and altitude buttons provide instant access to the data collected on the road. 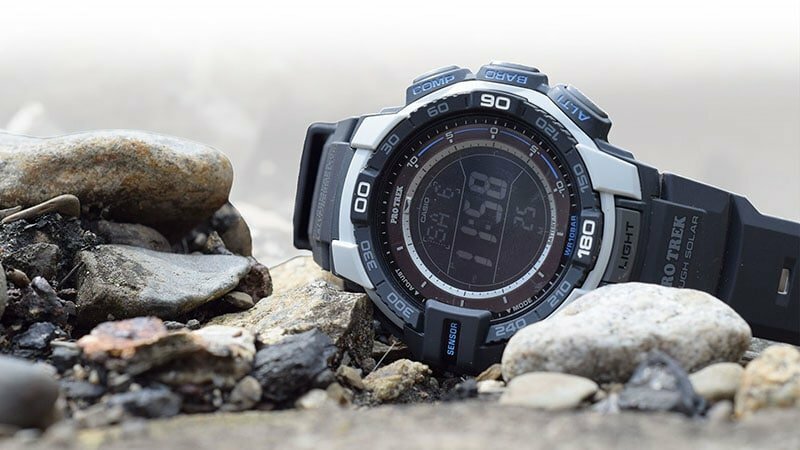 Casio’s G-Shock range is perfect for outdoor enthusiasts. In recent years they have been focusing on solar power and atomic timekeeping, to eliminate the headache of having to replace batteries or reset the time manually. 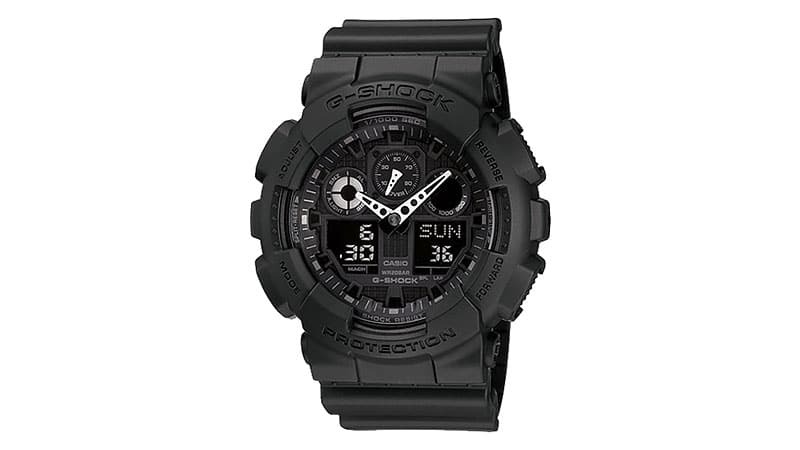 The G-Shock MTGM900DA-8CR is the result of said efforts. Equipped with multi-band atomic timekeeping and solar powered battery, this timepiece can last you up to 23 months without additional exposure to light. Thanks to the resin bezel framing the body, this watch is also shock and water resistant up to 200m. 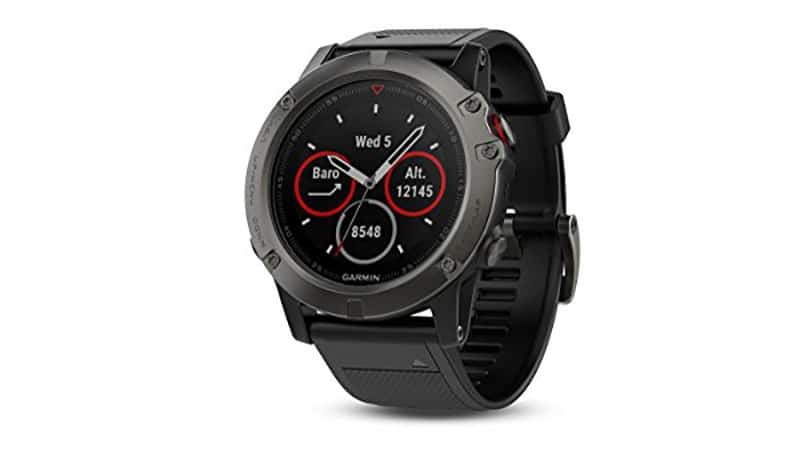 If you’re looking for something to smart complement your busy lifestyle without cutting you off, the Garmin Fenix 5X Sapphire might be for you. As the largest of three new Fenix 5 smartwatches, thus it also packs the most power. Along with a bunch of other gimmicks, this all-rounder features superior tracking capabilities and advanced software to keep up with most sports. This puts the Garmin Fenix 5X Sapphire in pole position amongst comparable products on the market. 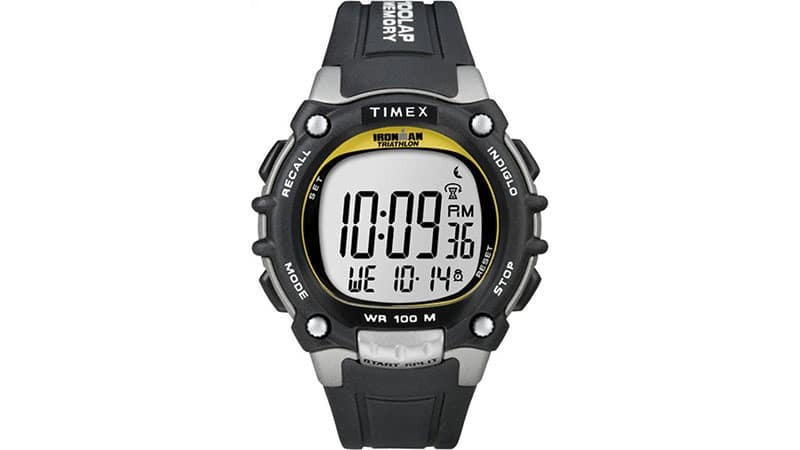 If you are a running man, the Timex Ironman Classic 100 is for you. An extra large digital display allows you to catch the time at one glance as you are moving while chronographic settings record your progress. Its coolest feature is the built-in flip technology, which enables you to switch to the Indiglo night-light with the flip of a wrist. The Ironman Classic is also water resistant up to 100m, which makes it suitable for snorkelling and swimming. 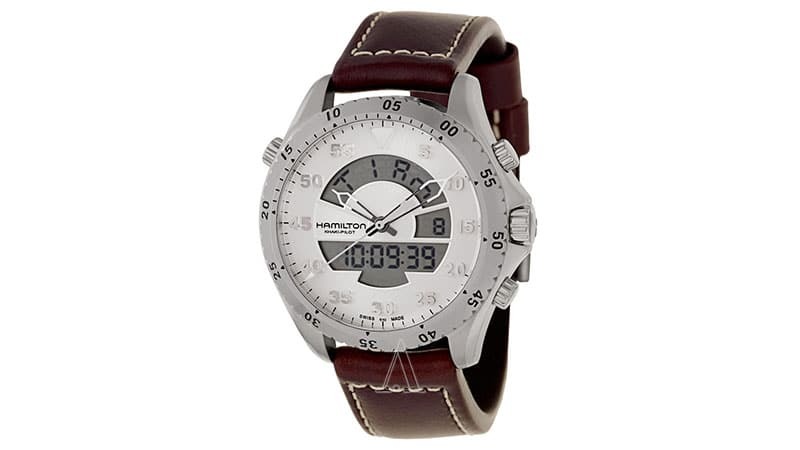 Hamilton watches have a long aviation history designing watches for pilots, dating all the way back to 1918. Because of that, the Hamilton Khaki Aviation comes with a range of flight-specific features. The dedicated pilot’s logbook, for instance, allows one to record flight routes and landings. Other aviation functions include UTC time, a chronograph, a flight time recorder, countdown, an ISA temperature display and a calendar. So, if you’re one to keep your head in the clouds, this watch will make sure you won’t get lost. 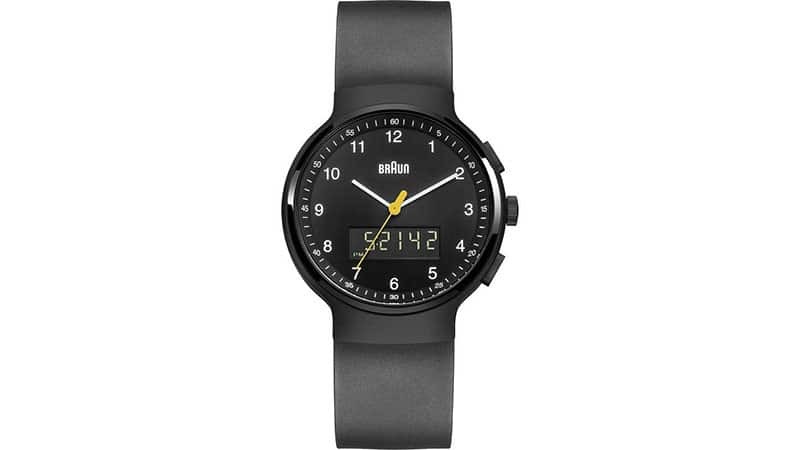 The Braun BN0159 series is a sophisticated range that is defined by its timeless and minimalistic design. Featuring Japanese quartz movement and a built-in digital display this piece combines the classic beauty of an analogue with the functionality of a digital watch. 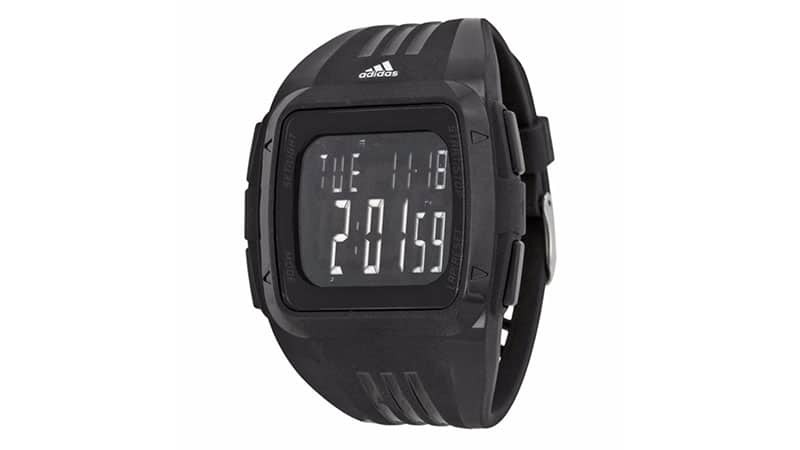 The rubber band provides a comfortable fit and the screen is sealed with a scratch resistant mineral glass. 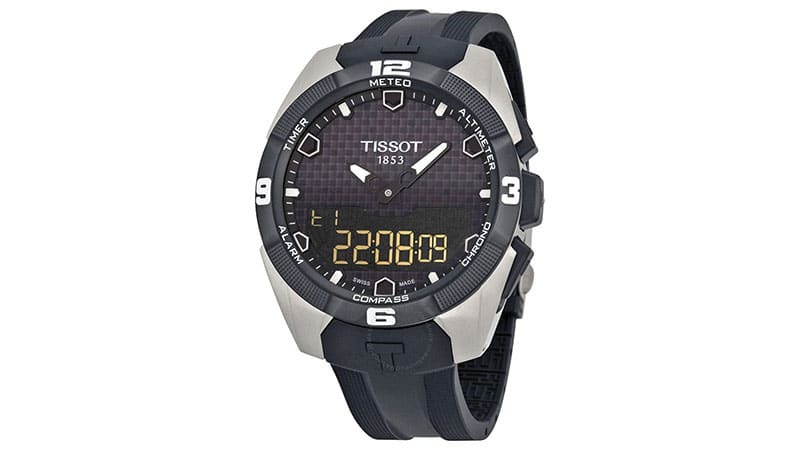 The watch is also equipped with dual time zones, alarm, a chronograph and an EL backlight. 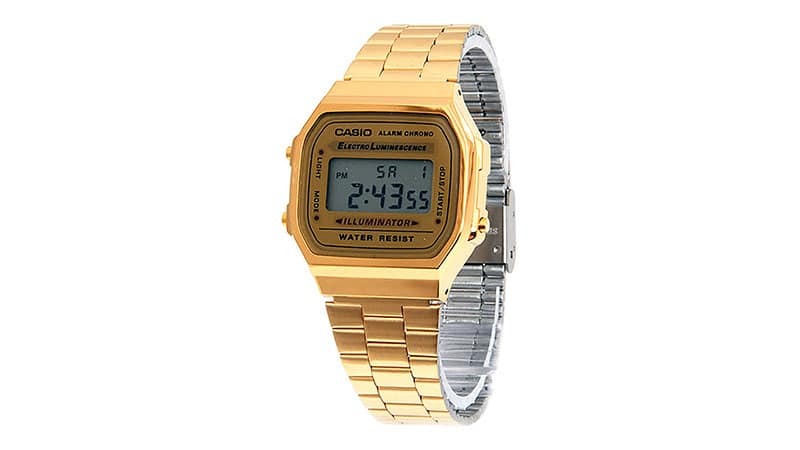 Casio’s popular vintage watch designs have been going strong again for quite some time now – and it looks like they are here to stay. This particular specimen, the Casio CA53W-1 is a member of Casio’s Databank family and features an 8-digit calculator. 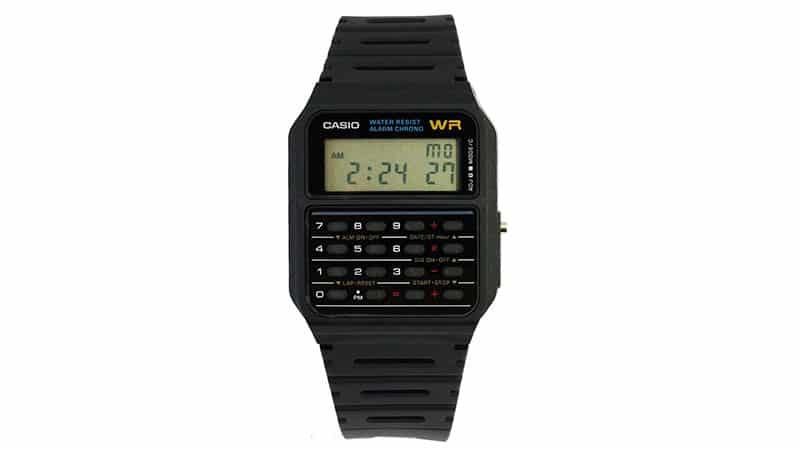 As a matter of fact, this classic piece of arm candy can be considered the mothership of calculator watches. In addition to its quirky design, the watch also contains a bunch of other useful standard settings, such as dual time zones, a daily alarm and an auto calendar. The Timex Expedition range has been developed for outdoor-loving folk in need of stylish and, moreover, reliable timepieces to keep them on their path. The Expedition WS4 stands out from the crowd because of its futuristic design with an exceptionally user-friendly interface. 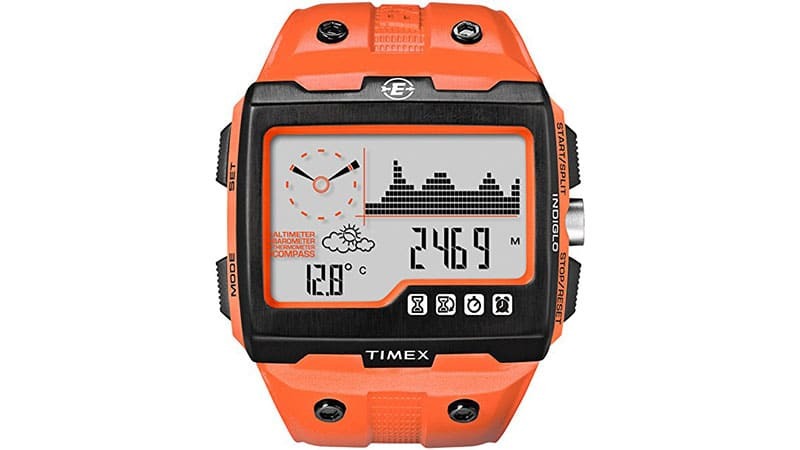 The four function widescreen display presents a multitude of information at one glance, while highly sensible sensors continuously collect data for altimeter, barometer, temperature and compass. Bridging the gap between sport and street, the Nixon A197-195 is a low-key watch for everyday use and features quartz movement within a digital display. The screen is embedded in a 49mm stainless steel body with a mineral dial window, which guarantees water resistance to up to 100 metres. At the same time, its polyurethane wristband provides comfort and promotes durability.